Solid statistics assert that teen drivers get into a higher amount of accidents than those over 25 years of age. This statistic is true simply because younger drivers have less road experience than other, more seasoned drivers. Because auto insurance is based on statistics, drivers they call 'higher risk' will inevitably pay more for their premiums. And what you’ve heard is true, people under the age of 25 pay enormous insurance premiums up until their 25th birthday, especially if they live in high traffic or high density areas. So how can driver’s education offset that high auto insurance premium? Even if you are over the age of 25, can passing certain milestones such as a driver’s education program give you any discount on your premium? In short, yes. Below, we’ll show you how much money you can save by investing in driver’s education. Investing in driver’s ed. not only saves you money on your premiums, but it also arms you with defensive driving techniques that may save lives; the lives of yourself, your passengers, or another road user. Young drivers below the age of 25 can actually pay upwards of thousands (plural thousands) of dollars per year as they gain experience on the road. However, there are provincially-approved driver’s education programs that insurance providers recognize as reducing the inherent road risk of young drivers. By doing driver’s ed., the insurance company sees you differently. You become someone that actually wants to be a good driver, and has taken the proper steps in order to do so. The gold-standard of Young Drivers of Canada will be used in this example. Young Drivers (yd.com/) offers in-class training, along with in-car training at different tiers so you can gain the training you need to get behind the wheel with confidence. There are other, more localized driver’s ed. programs all over the province, you just need to head to your province's Ministry of Transportation website to find all of the approved driving schools in your area. More recognizable programs are more readily discounted by insurance providers. Using Young Drivers as an example, you can find three different levels of driver’s training courses. Full courses include 20 to 25 hours of in-class instruction and examination along with 10 to 15.25 hours of private in-car training with a driving instructor, depending on the level. You will have the option of including a ride to the road testing site at an extra cost. Young drivers may wish to pick this option, so they can be with their instructor up until they have to take the government test. Because the courses are of different levels, the packages range in price accordingly. Using the same training company, the most basic course is $925, while the higher package that is intended for the likes of truck drivers or big-rig transport people, comes in at $1395. As expensive as this seems, parents should understand that they are sending their young drivers to an accredited driving school with a proven track record across decades of service. 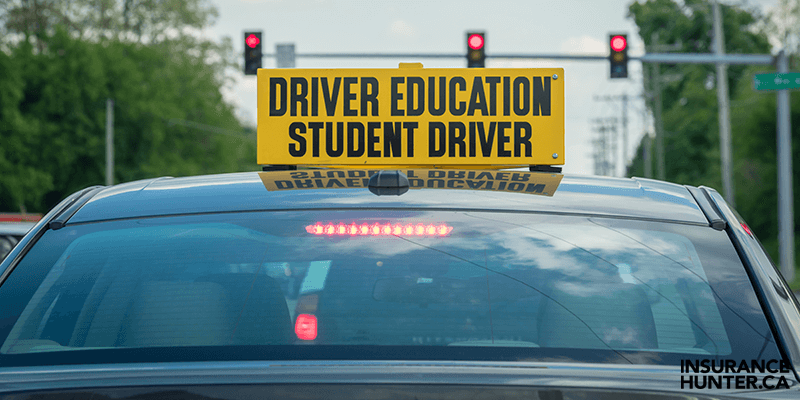 The wisdom that any professional driving school passes on to their students will be shown in their actions on the road, sewn in through practice. In order to take advantage of the insurance discount, the young driver must graduate the program, of course. First time drivers are rightfully confused about insurance once they pass their driving course. Getting a quote for auto insurance, as a 22-year-old for example, can garner a premium of up to $5,000! That’s downright unaffordable for a young person just trying to get on the road and gain experience. So, with the graduation from the driver’s ed. program, the insurer has the option of reducing the cost of a first-time driver’s insurance premium. Since every insurer is different, the exact discount will vary. The savings can be as high as 10%, but you should always shop around to see if you can get a better deal. Our advice? Ask your parents if you can become an occasional driver on their policy, which will build your own insurance history and lead you toward more discounts down the road. A young driver can also combine that driver’s ed. discount with a ‘good grades’ discount, something that providers may offer to students maintaining a 3.0 GPA. You need to build your driving experience and choose the right vehicle to save the most. Keep a clean driving record for as long as possible, and your 25th birthday party will come with more than a chocolate cake.